Think about it, as Christians, our lives were changed the moment we opened ourselves up to the radical love, teachings and story of Jesus. In the days of Jesus, He was seen as a radical. His teaching were out of this world. His ideas sounded crazy and His methods were strange. He constantly went against the grain, challenged the status quo, provided “weird” answers and asked thought provoking questions – through all of this, He revolutionized the world in the process and no where in the History of mankind has a Man been this influential and powerful. Christians, let’s be honest: If Jesus were to be here with us today, we would have probably crucified Him. We are no different than the Pharisees of His time. The Pharisees were not evil, they simply did not understand how big God was. They did not understand His love and His compassion. They went by the books and anytime their ideas, thoughts and way of life were challenged, they flipped and certainly not happy. Often at times, Jesus would ask them thought provoking questions and they would be quick to stone him – eventually, they got what they wanted by helping help crucify Him. Ask yourselves this question: As Christians, how many people have challenged our thought process with their doubts, questions or suggestions and what is our response to their inquiries? Often at times, it is not well received and I will be honest, sometimes, we would love to give them a slap. Jesus told them to love their enemies just as much as He admonishes us to love ours today. He told them to help the poor and needy just as much as he tells us to do the same. He continues to challenge us to live fully for God and not be bound by legalism. We were set free for a reason, but we continue to bind ourselves for no apparent reason. If Jesus were not radical in words and in deeds, He wouldn’t have impacted the world the way He did. Just as much as Jesus was going against the grain, we are challenged to do the same in today’s society. Think about it, the Pharisees and the people of His time were told to retaliate – “an eye for an eye and a tooth for a tooth”; but what did Jesus say in Matthew 5:38-39, “You have heard that it was said, ‘Eye for eye, and tooth for tooth. But I tell you, do not resist an evil person. If anyone slaps you on the right cheek, turn to them the other cheek also.” With everything in context and perspective, let’s not forget how crazy this might have sounded. This was extremely radical! It was insane at that time to hear something like this; no wonder they wanted to crucify Him. For years, they were stoning to death people who will indulge themselves in sexually immorality, especially women – but Jesus once again disarmed them when they were ready to stone the woman. We often read this chapter and think of the Pharisees as hateful people, but they were only a product of their culture. They were doing what they knew and what they had been exposed to. So the teachings of Jesus were foreign to them. As Christians, culturally, we have also been exposed to certain things and a way of life. But we forget that Christ continues to change us through the Holy Spirit. Christ continues to work in us and through us. In Romans 12:2, we are told to renew our minds and not be conformed to things of this world: “Do not conform to the pattern of this world, but be transformed by the renewing of your mind. Then you will be able to test and approve what God’s will is–his good, pleasing and perfect will“ We forget that culture can be deemed as “things of this world” and the passage above clearly states that we should not be conformed to things of the world. Culture is needed and it is a beautiful thing and we are all part of different cultures, but when it comes to your personal culture affecting the Christ Culture, we often conform tot he latter. We refuse to love unconditionally, we refuse to forgive, we refuse to support, we refuse to accept and we refuse to help, we refuse to be questioned and refuse to be challenged, etc. Christ Culture calls us into a whole new family with different beautiful people from different ethnic backgrounds, different thoughts, different mindsets, different suggestions and different lifestyles. Christ Culture pushes us out of our comfort zone and propels us to exhibit the traits of Christ in and outside the circle of the Church and Christ culture should definitely supersede our culture. We are being moved away from our comfort zone to be make an impact. As a Pastor friend of mine (John Pavlovitz) said: “I always hold on to the bigness of God; that He is not threatened by questions, or doubts, or the examination of everything, our history, tradition, doctrines, creeds. He is not afraid of them, and what is true, will always hold up under scrutiny.” When we are challenged and questioned, we often get angry. When suggestions are made, which may go against the grain, we begin to feel insecure, we push back and the opportunity to have a great and open dialogue about Jesus turns into a war. We are admonished to study and show ourselves approved but do we actually do so? I’m not asking for us to argue, but we refuse to dialogue with those who might differ from us. We shun those who don’t believe in exactly what we believe in. When our actions are questioned by believers and non-believers alike, instead of using this as an opportunity to educate, we fire back angrily and sometimes respond in hate and fear. With myself included, sometimes we feel as though we are better than those who have not yet “seen the light”, so we automatically void of nullify their suggestions or questions and call them “faithless”. We hate those who speak up boldly forgetting that they also have the same passion and desire for the Church just as much as we do. Just because they do not do things the way we have been conformed to do them, we disregard them and push them to the side. With all that mentioned above, I am not saying we should all run around the world just accepting any and everything – but through the love of Christ, we should allow the questions, the doubts, the suggestions and even the denial. We should in all things, allow the Holy Spirit to work in and through us to bring about the salvation that is needed. We should allow our thoughts to be challenged, we should allow people to question us, because the God who hung on the cross 2,000 years ago is bigger than any question or push back. A the end of the day, He is the truth and He alone will stand firm amidst the doubt and scrutiny. For a spiritual revolution to take place in our world today, we need to renew our minds, be open and led by the Spirit, be receptive to spiritual change and thoughts and be willing to sacrifice our pride and ego to better the Kingdom and Work of God. As Christians today, I am convinced that if Jesus were here today, we would have crucified Him because his ideas, suggestions, thoughts would have also been radical as they were 2,000 year ago. Jesus revolutionized the world through radical teachings of love. He did not conform but went against the grain and that is what saved you and I. My question is, are we going to continue the Good Work He started with us or we are going to cling to legalism and conformation just like the Pharisees? If you don’t know, Scandal is not drawing you closer to God and probably moving you away from Him and maybe drawing you closer to hell. Yes,Hell. Last night was the night for Scandal (Thursday Nights). 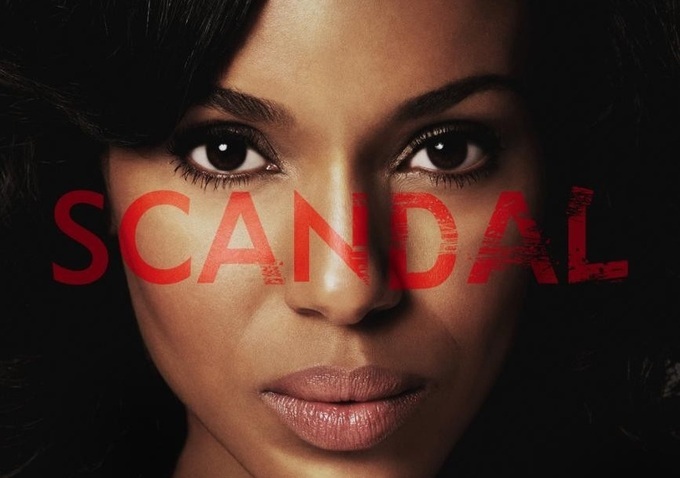 Scandal is a hit ABC TV Show which portrays what probably goes on in our nation’s capital. It is a show which has captivated the attention of many with its wonderful script and wonderful actors. Just like every Thursday, about 70% percent of people on Twitter tweet about the show and yesterday was no exception. But something different happened this time around: a friend of mine who I am guessing does not watch the show, tweeted me and told me to look at her last ReTweet (RT). So I went on her Timeline (TL) and looked at her last RT and it was a tweet by Heather Lindsey. Now, Heather Lindsey is a very respected woman of God who inspire a lot of young women to be bold in God and to save themselves for marriage. I applaud her and respect her for that. We need more women like her in today’s society. Heather’s Tweet was something I totally did not understand. (Please look at the picture below). Her question, “Is watching that TV show pulling you closer to Christ though?” really bothered me a bit and of course since my friend wanted me to see it, she obviously wanted my opinion on it, so I decided to write on this subject. I have a couple of questions of my own: Is watching the News pulling any of us closer to God? Is watching the NBA finals drawing us closer to God? Is watching the Olympics bringing you closer to God? Is reading a story book pulling us closer to Christ? Is reading the Newspaper pulling us closer to Christ? Is going for a jog pulling us closer to Christ? Is dancing at a friend’s wedding pulling us closer to Christ? Is going to the beach to have a romantic time with your wife and husband pulling you closer to Christ? Is going to work pulling you closer to Christ? If Heather Lindsey’s question is valid, then I assume that my questions above are valid as well, because questions like this only makes a person focus on what they can do to achieve Grace from God. In the Old Testament, people had to do things to get that Grace, but in the New Testament, Grace came down with Christ and shared with the world on the cross which is why Grace is unmerited Favor. We do not deserve it, but we have it once we come to accept Christ. These kind of questions do not help but steal the joy of individuals away and kind of guilt trips them in a way. As Christians, can’t we allow people to enjoy a TV show with the God given peace in their hearts? As Christians, we sometimes become like the Pharisees (the religious people) by becoming standing blocks for others to be saved if we are not careful of what we say. I do not believe that this is a question Jesus would have asked his disciples, because Jesus DID go to parties with his entourage, he dined with sinners, he wept, he grieved, he was even hungry at some point, he dined with tax collectors, and etc. My point is, Jesus did everything any human can do and probably does. He was not half human, half God, He was was fully human and fully God and experienced anything we can experience on earth. Probably, Jesus might have watched Scandal to get a good laugh and enjoy the suspense if He was here as well. Jesus was not only reading the Torah, He was not always fasting, but He was always being fully God and fully human and doing things humans like to do. Guess what? The Pharisees were the ones who were not being fully human and enjoying anything humans could possibly enjoy, so they were always criticizing Jesus and always asking Him questions. They even questioned His holiness all because He was hanging out with sinners like you and I. Let me be clear, Jesus was not conforming, but rather reforming through the expressing of love and by being human. I am not saying that we should conform as Christians to society, but we should not forget that we are humans saved by Grace. Jesus knew He was Holy, but never ones did he condemn, never once did he judge and we should follow suit and be the best we can be with Christ. Watching Scandal is not a sin and watching the NBA Finals or Superbowl is not a sin either. It is a form of entertainment for humans. It is something which can help you get over the troubles in life. The Bible does advice us not to be mastered by anything. We should not be totally consumed with all these things, but consumed with the Word of God – that is a given, but we should enjoy the life Christ has given us, because He came to set us free. Under the law is sin and death, but under the Grace of Christ is Mercy, Love, Hope, Faith and Love.